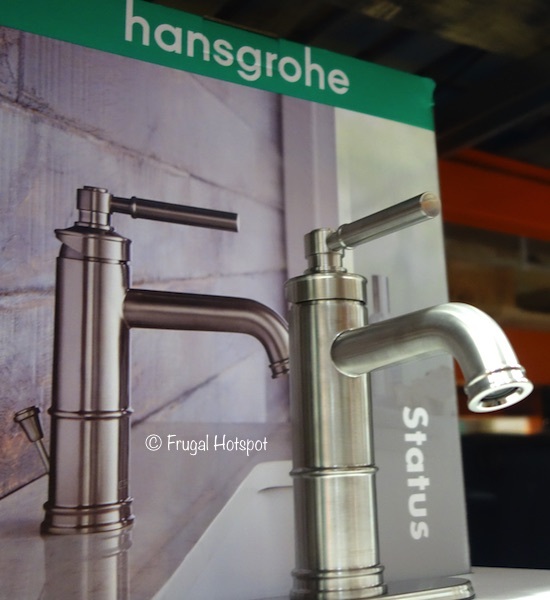 My local Costco has this faucet in a brushed nickel finish but yours may offer it in a chrome finish or an oil-rubbed bronze finish. 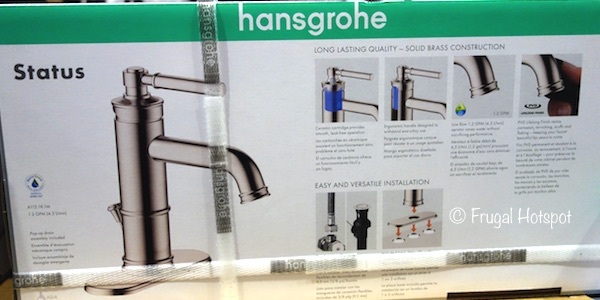 All three options are available at costco.com for a very limited time while supplies last, at a higher delivered price. 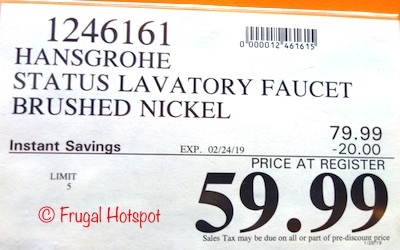 Select Costco locations have the Hansgrohe Status Lavatory Faucet on sale for $59.99 (after instant savings), now through February 24, 2019. 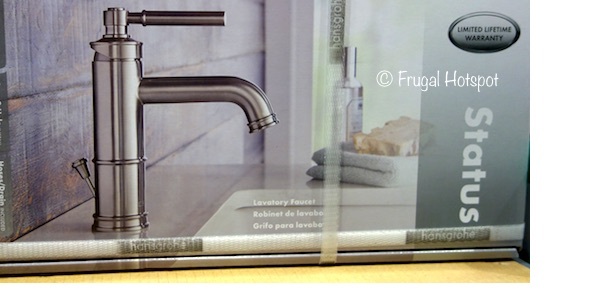 That is $20 off Costco’s regular price of $79.99. While supplies last. Item #1246161.